Unfortunately, sometimes teeth need to be removed for a myriad of reasons. Dental decay, teeth fracturing, infections, and even sometimes braces treatment may require you or a loved to have their teeth extracted. Fortunately, at Best Dental, Dr. Jasmine and her surgical colleague are experts at teeth extractions. Whether it’s a simple extraction or a more complicated wisdom tooth removal, Best Dental is the place to make your extraction experience as seamless as possible. Here are some common questions that our patients ask us about dental extractions, and if you have any further questions, feel free to call our office to setup a consultation with Dr. Jasmine. If your dentist properly numbs the tooth or teeth that need to be removed, then you should not feel any pain during your procedure. The only feeling that you will have during your procedure is pressure. Are tooth extractions covered by dental insurance? Most insurance plans cover dental extractions at a percentage. At Best Dental, we will verify with your insurance carrier how much of your dental extraction will be covered, and exactly how much your out-of-pocket expense will be. Are tooth extractions covered by medical insurance? Most of the times medical insurance will not cover dental extractions, but there may be exceptions. At Best Dental, we will definitely look into your plan, and if there is any way we can get your medical carrier to cover any portion of your extraction(s), we will let you know. Are tooth extractions covered by medicare? Medicare will likely cover one dental extraction. We will definitely check with your plan to make sure this is the case with your plan at your consultation appointment. If they are performed by a properly trained clinician, dental extractions are not dangerous. Dr. Jasmine and her colleague have hospital experience and are capable of handling any complications that are involved with your case. The great news is, that they will charge you a lot less than you will see anywhere else across the city no matter how difficult your extraction may be. Are tooth extractions necessary for braces? Sometimes they are. Depending on your crowding , and jaw size/alignment, Dr. Jasmine may require that some teeth be removed to be able to properly place your other teeth into their correct positions. 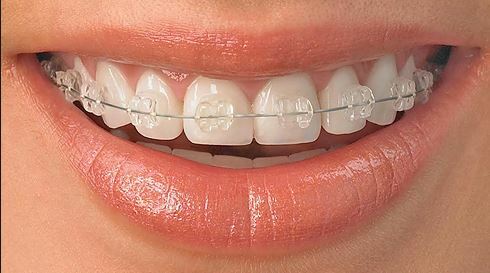 We will let you know during your consultation appointment if dental extractions will be needed during the course of your braces treatment. Can you have a tooth extracted while you are pregnant? At Best Dental, we only recommend removing teeth that are infected, or may be causing severe pain and stress. With the guidelines of your physician, we will carefully review your case, and let you know what the best course of action is during your consultation appointment. After 5-10 minutes we will begin treatment by using instruments to help loosen and remove the tooth. Sometimes we will need to cut the tooth and remove it in sections. We will let you know during your consultation appointment if that is the case with your tooth or teeth. 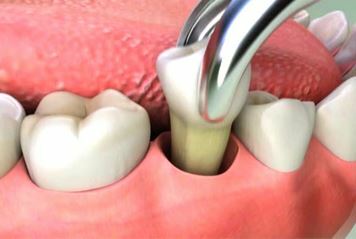 All infected tissue is removed after your tooth is removed. The area of extraction is irrigated copiously with saline. Stitches may or may not be required after the procedure. This will depend on the complexity of your case. You will bite down on gauze after the procedure and Dr. Jasmine and her staff will go over all the instructions you need to follow for the next few weeks. Antibiotics and pain medications will be given after the procedure to ensure proper and rapid healing of the extraction site.